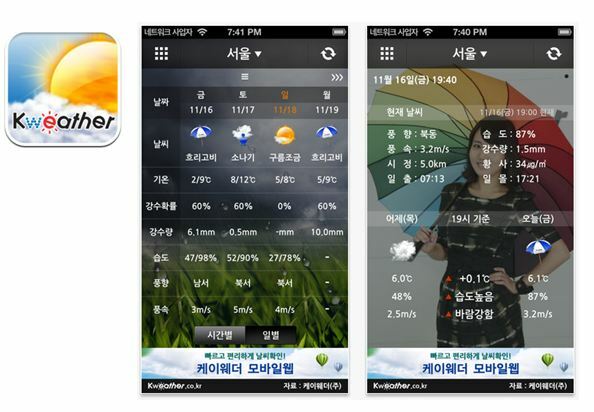 ‘Search Kweather from the App Store / Android Market! ‘All weather’ Kweather representative applications! 2. 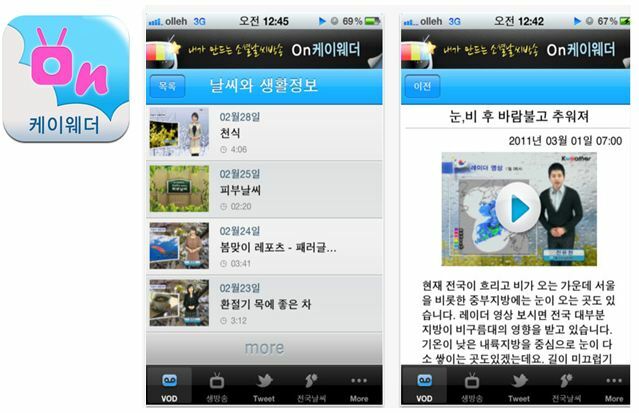 Take advantage of Kweather owned advanced forecast system, the service provides 1-hour forecasts. Enjoy accurately golf course weather information easily! Accurate current weather and wind information of each course can be provided through Automatic Weather Observation equipment installed on the rounding course. Applications will be shown to meet a variety of weather and living information, broadcasting and weather information! Professional Kweather reporter introduce today’s weather, recommended lunch menu, skin care in accordance with the weather condition etc.